This is the Home Page for the Hiring Assessment Tool. An Excel document that helps you track candidates and a scoring system that helps with the final selection process. 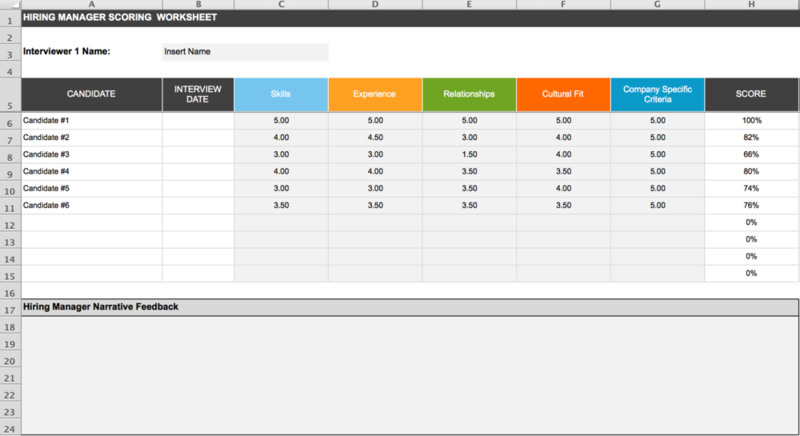 This is the worksheet in the Hiring Assessment Tool that ranks the scores of the candidates from all the interviews in the process. This is the worksheet in the Hiring Assessment Tool that allows the Hiring Manager to enter their interview scores by candidate. 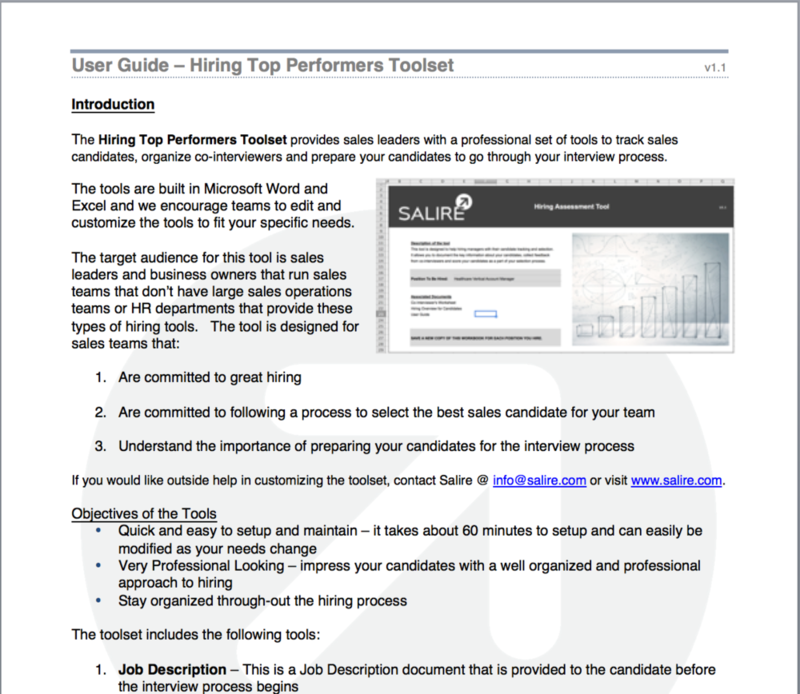 This document helps the Hiring Manager set up and configure your toolset. This is a preparatory document intended to assist the sales candidate in better understanding the interview and selection process.